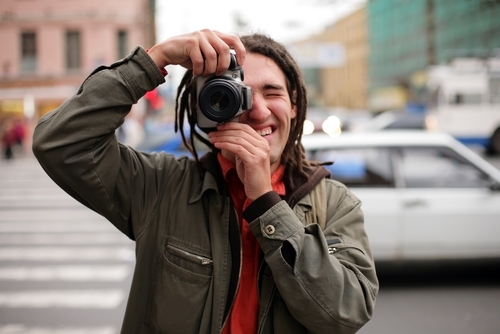 Do you have a knack for photography? Looking to show off your artistic talent and earn a chance to take home big prizes? You’re in luck, as Myron is hosting two separate photo contests open to any individuals with an eye for art and desire to win big. Both contests, which ask people to deliver photographs that adhere to a separate set of standards, are calling for submissions until Sept. 30, 2014. Winners’ images will be featured in a series of promotional wall calendars, which may be seen by a great deal of individuals and companies over the course of the next year. If you’ve got a sweet tooth and crafty culinary creation, you should consider entering the My Dessert Recipe contest. Myron is calling for colorful, creative photos of your best original dessert. To enter this contest, you must submit an image of your dessert, a list of the ingredients and a detailed description of the instructions for preparation. Site visitors will have a chance to vote on their favorite recipes, so those who submit photographs can spread awareness among friends and family members via social media. Five finalists will be selected, and the top entries will be judged on a series of four criteria: the creativity of your recipe, how it tastes, the photograph and relevance to the contest. The winner of this contest will receive a $500 Visa gift card as well as 50 wall calendars featuring the winning recipe. Two second place winners will receive a $250 Visa gift card. Winners of the popular vote will take home a Myron gift basket valued at $50. To read the official contest rules, visit this page. If you’re the proud owner of a vintage muscle car, consider entering Myron’s My Muscle Car Photo Contest. For this event, participants are asked to submit an image of their pride and joy, which may be featured in series of promotional wall calendars. To enter this contest, car owners should submit an image of their muscle car – people are allowed to upload more than one picture, but none can feature the driver. The photograph must be original and cannot reveal any identifying information, such as names, company logos or faces. Among the top five finalists, judges will pick a winner based on the originality of the photo, its quality and its relevance to the contest. The winner of the My Muscle Car contest will also receive a $500 Visa gift card in addition to 50 wall calendars. Those who come in second place will receive a $250 Visa gift card, and the winner of the popular vote will receive a Myron gift basket. Visit this page to read the official contest rules.